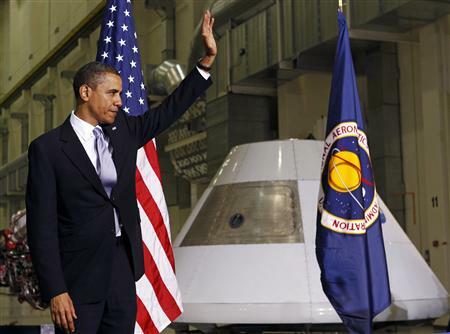 President Barack Obama attends the opening session of the Space Conference at NASA Operations and Checkout Building in Cape Canaveral, Florida, April 15, 2010. It was predictable that representatives of all the “space states” like Florida and Texas might get upset. It was a little less predictable to see the right opposing privatization of orbital flight however. But even beyond that, I think this is one of the first cases I have seen a political figure chastised explicitly for thinking too long-term. The best bit of long-term thinking was actually glossed over in the announcement of an asteroid mission. 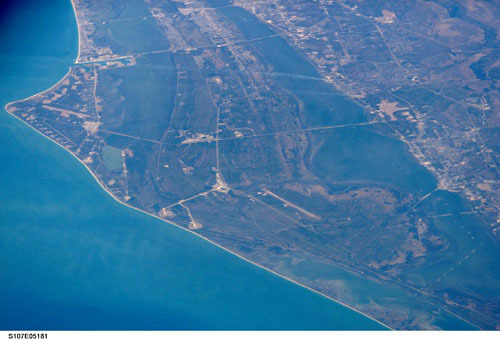 An asteroid or comet impact on earth is the only serious threat to human (and nearly all lifes) existence, yet we spend basically no part of NASA’s budget trying figure out how we might avert such a disaster (the little bit of funding for Rusty Schweickart’s program is an exception, but a small one).